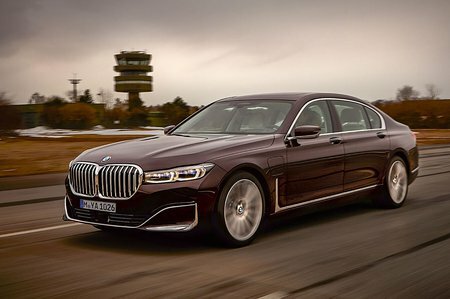 BMW 7 Series Performance, Engine, Ride, Handling | What Car? Potholes and raised manhole covers can send a bit of a thud through the car, and it can pick up on other surface imperfections, especially around town. So far every 7 Series we’ve driven has worn chunky 20in wheels; hopefully things should be more cushioned with smaller 18in or 19in rims. At higher speeds, things do improve. Standard air suspension helps the car to waft gently over undulating surfaces, especially in Comfort mode. There’s also an even softer Comfort Plus mode, although some may find this a little too wallowy. Should you want a bit more control, Sport mode does keep the body tied down better without reducing comfort too much. 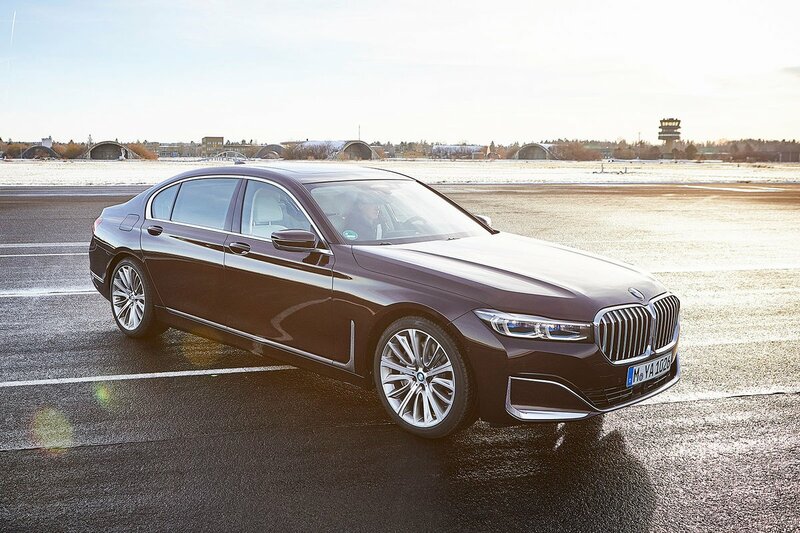 This agreeable high-speed ride, along with its hushed cabin and good engine refinement mean the 7 Series is a highly adept and quiet, long-distance cruiser. Considering this is a two-tonne plus car, it’s impressively agile and certainly better tied-down than rivals such as the S-Class and Range Rover, although the relative lack of steering feel still leaves something to be desired. Even so, while you technically can hustle the 7 Series down a country road very briskly, it never feels like it really wants to. There’s a bit of body lean, even if you’ve left it in Sport mode, although Executive Drive Pro uses electronically controlled active anti-roll bars to prop things up better. 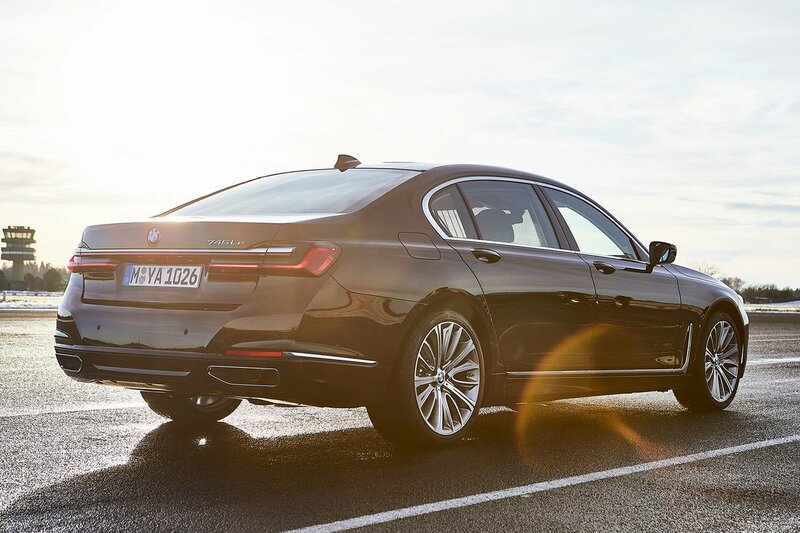 The top-spec M760Li xDrive uses specially tuned M Sport air-suspension and comes as standard with active anti-roll bars and four-wheel steering (optional on lesser models), which should make it feel nimbler still. As with all the xDrive – BMW-speak for four-wheel drive – versions, there’s plenty of grip, even in tricky conditions. With the engines we’ve tried to far, performance is first-rate. BMW’s superb 4.4-litre twin-turbo V8 found in the 750i xDrive has a mighty 523bhp and, with a standard eight-speed automatic gearbox, there's plenty of instantly available power, as highlighted by its sports car-bothering 0-62mph time of 4.1sec. A switchable exhaust really gives this V8 a powerful soundtrack when you’re on it, although it fades into the background when you’re cruising. The other version we’ve sampled is the 745Le; a rather more sensible plug-in hybrid that combines a 3.0-litre turbocharged six-cylinder petrol engine with an electric motor and a big battery pack in the boot. When combined there’s a hefty 389bhp, but it isn’t the power that impresses the most. Not only does the six-cylinder sound and feel smoother than the V8; it also has the party-piece of being able to travel up to 34 miles (36 if you don’t tick the long-wheelbase box) on a single charge, according to official figures. Such near-silent electric running sits perfectly with the concept of a luxury car, yet still allows plenty of punch for town driving. Push your right foot down a little harder and the petrol engine fires with virtually no fuss. After a brief moment, both power sources combine to provide performance that’ll prove more than enough for all but the sternest of challenges at the traffic light Grand Prix. Yes, the added weight of the batteries does mean the handling isn’t quite as sharp as that of the regular petrol models, but how often do you corner a luxury car like this on its doorhandles?